Championship 18 Hole golf course in Ontario. 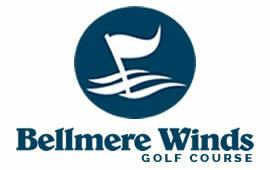 Bellemere is just 90 minutes from the GTA and only 20 minutes south of Peterborough in the village of Keene, along the north shore of Rice Lake, you will find Bellmere Winds Resort. Their owners take pleasure in claiming a piece of paradise that’s only a short scenic drive or boat ride away from a wide variety of attractions, recreational trails, family restaurants, theatres, annual concert events and more! When Bellmere came to us, our goal was clear. Create a user friendly website that helps promote their golf course. In the end, we created a fully responsive and persona driven website that makes life easier for every user, all while staying consistent with Bellmere’s brand.